I'm really enjoying reading through this so far. Keeping notes for our next ad board in a few months -- will be sure to implement the brand value process you describe, I can see this being really beneficial for my team! Thank you!! I agree with lots of the suggestions, but I still think in-person meetings are required for the personal connection with our customers. I'll definitely consider using the portal for a pre-work and post-eval for our meeting, though. Great idea, this could really increase our efficiency! Found some great snippets in the book! Really good insights. The part about advisor fatigue during long meetings definitely rings true. Considering splitting our typical consultancy meetings in March into smaller, ''bite-sized'' engagements throughout the year. 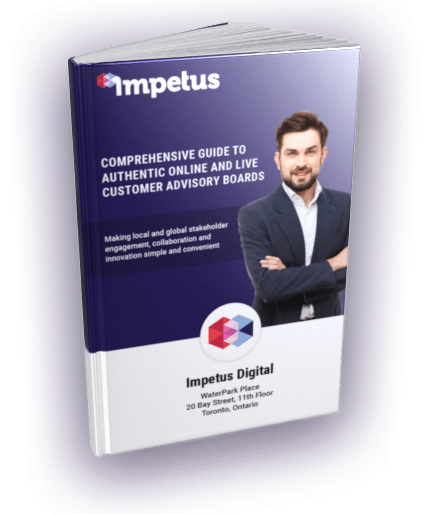 At Impetus Digital, we help pharmaceutical companies manage their advisory boards and steering committees through our Impetus InSite Platform®. We increase the speed and quality of collaboration and outputs through asynchronous online assignments such as discussion forums and annotation exercises. We manage all the content development, project management, documentation and reports freeing up your team’s time to focus on their key priorities. To learn more about us, and to schedule your one-on-one demo, click here.